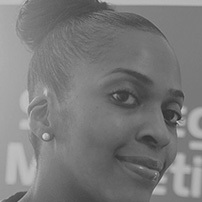 Vee Roberts is a multi-award winning Brand and Marketing Coach, Trainer and Consultant. She is a mum of four, who decided to take a leap – after being made redundant – to start her own business several years ago. And she has never looked back. Prior to becoming her own boss, she had worked for over 15+ years as a Senior Marketer and Team Leader, within public, private and third sectors, for companies which included BT and NHS. experience in marketing planning, coordination and delivery, to educate and empower other business owners – with great success. Her clients come from a range of sectors including Commercial, Not-for-profit, Healthcare, Arts & Entertainment, Fashion, Hair & Beauty, Education and Tourism. Her passion and proven success is in increasing sales, leads and visibility, as a direct result of effective integrated marketing campaigns. She enables businesses to refocus their marketing efforts in a way that will save both time and money. Many of the businesses she works with have seen a drastic improvement in their bottom line and also reported improved perception, better customer retention and increased sales. Vee is all about serving people and amongst her 6 awards received to date, she has received 2 awards from the Global Entrepreneurship Campaign because of her commitment and contribution to other business owners. She gets her buzz seeing businesses flourish and this is why she launched InspireUrBiz™ networking and workshop events in 2014 – with a focus on personal and business development. With her wealth of knowledge in branding, marketing and social media, Vee is often invited to speak at conferences and events. Her next big project in 2018 will be announced soon!